LOUISVILLE, Ky. (AP) — Kentucky’s largest school district has turned over a preliminary list of teachers who used sick days to protest at the state Capitol. The names were requested by Education Commissioner Wayne Lewis after Jefferson County Public Schools canceled classes multiple times in recent weeks due to teacher absences. Lewis has said it isn’t his intent to discipline teachers who used sick days to protest, but he wouldn’t rule it out. Jefferson County school district spokeswoman Renee Murphy told news outlets the list was sent Monday, but declined to say how many names were on it. 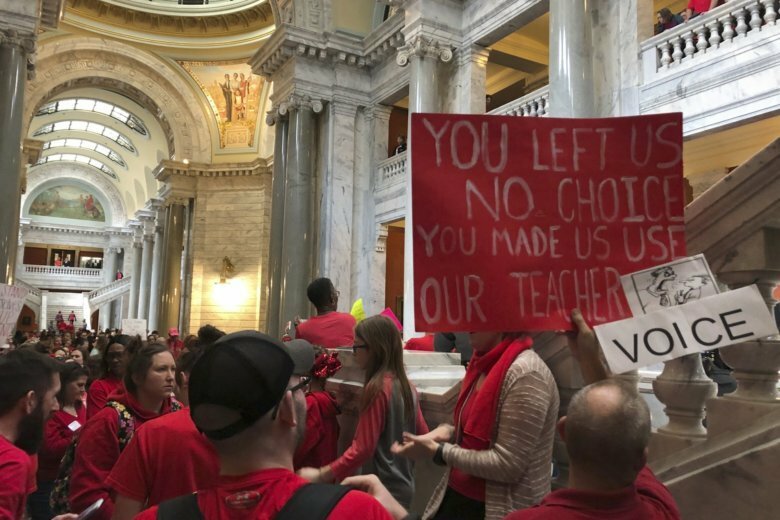 Teachers protested at the Capitol as lawmakers considered proposals that would change who manages the teachers’ pension fund and indirectly support private schools with tax credits. The final day of the 2019 legislative session is Thursday.